Sarasota Police Officers plan to start cracking down on CBD shops that they say are breaking the law. 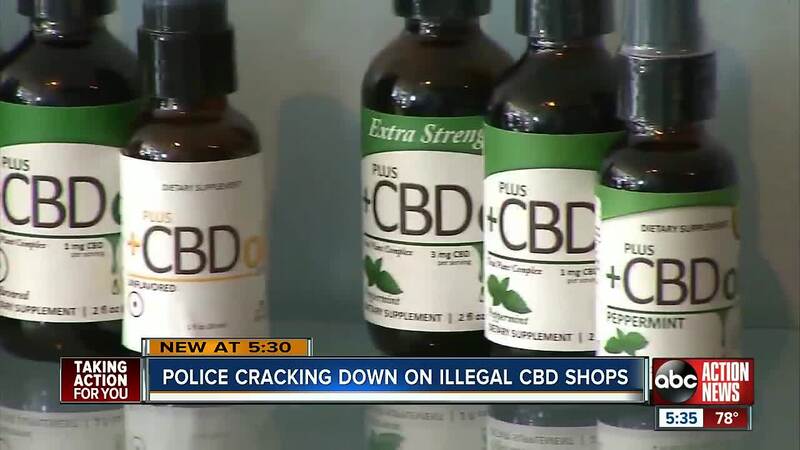 SARASOTA, Fla. — Sarasota Police Officers plan to start cracking down on CBD shops that they say are breaking the law. CBD is a hemp product that is supposed to relieve anxiety and ailments. Sarasota Police Investigator Michael Harrell said most CBD shops are breaking state law. They plan to start issuing warnings, then shutting shops down. "In Florida you cannot sell a cannabis product period, unless you are one of the licensed medical marijauna dispensaries,” said Harrell. "We are going to make sure they stop selling this stuff, because it is a public safety risk. People could be buying this under the assumption that it’s not a cannabis product or it doesn’t have thc in it." Shelby Isaacson believes in CBD so much that she opened a shop. “You aren’t stressed on CBD and you live a more fulfilled life, at least I do,” said Isaacson. Her downtown Sarasota shop, Second and Seed, sells oils, creams and even coffee. She said her products are legal because they contain microscopic levels of THC, which is allowed by federal law. "This is the non psychoactive part of cannabis and there is a lot of confusion around that,” said Isaacson. Harrell said they already took action on one CBD dispensary. They plan to issuing warning letters to other shops soon. Isaacson said she is hiring a lawyer to fight for her clients. "That’s what I do what I do we can help people like that live a more normal, full life,” said Isaacson.